This special piece is worn by the enlightened and represents the angels of Bernini steering the sacred path of light through the altars of science. 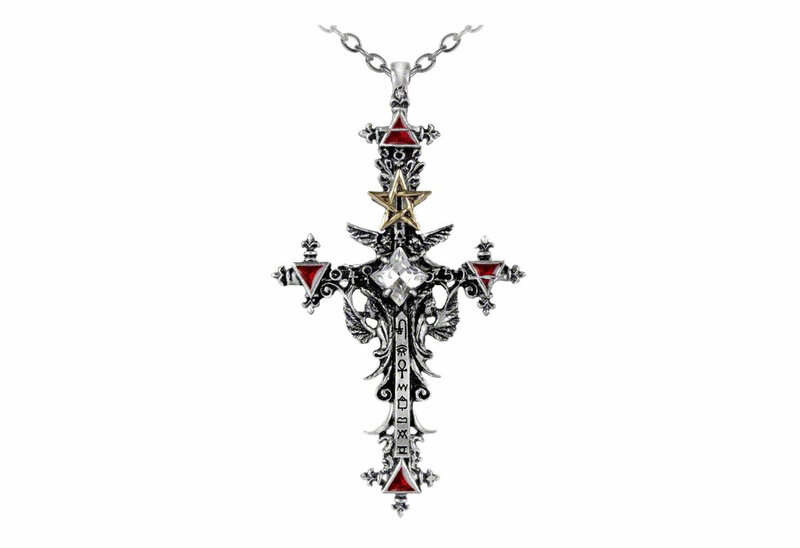 It is made of fine English pewter with a two tone gold star, red enamel triangles and a Swarovski crystal centerpiece. It measures approximately 2.52 inches wide, 4.41 inches high and 0.67 inches deep. 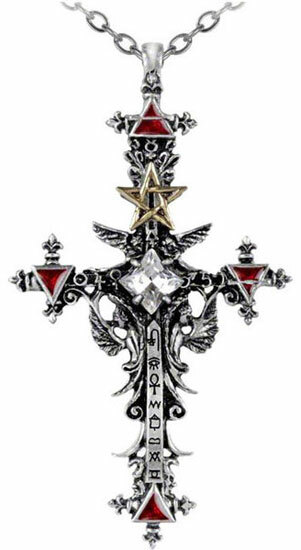 Inspired by history and designed by Gothic Alchemy.